I would like to list my retreat on here, is it free? Yes! 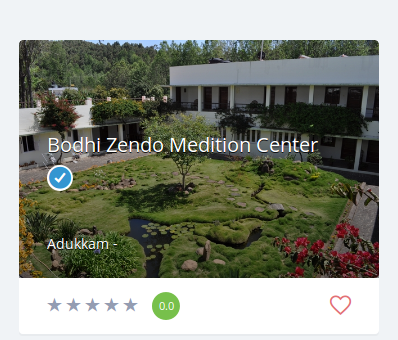 It is completely free to list your meditation center, or retreat space on this platform. Do I have to be the owner or manager of the retreat to list the retreat on this platform? No, in fact we encourage people who have been on a retreat which is not listed to list it, so other people can become aware of it. You will need to login through and register with us in order to be able to list a retreat. We will review the listing and approve it if it meets our retreat standards. Can I list more than one retreat? And can I be the owner of more than one retreat? Yes, you can list as many retreats as you want and you can be the owner of more than one retreat. For example, you may want to advertise a one-off retreat in Spain and then afterwards advertise a retreat in Bali. Hey! My retreat center is listed here, how do I gain control of the management? If you have any more questions, please feel free to email the team on our “contact us” page.